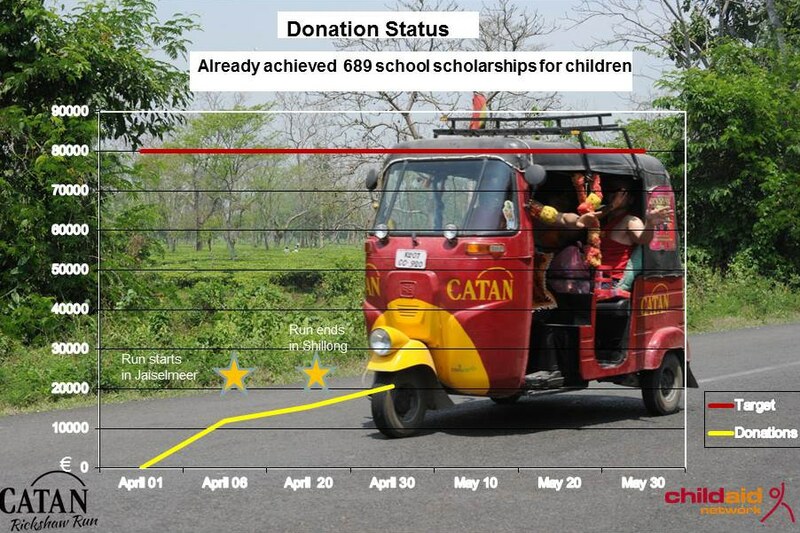 On their tour the team of Catan asks for donations for our educational programs. It may sound like a crazy idea. 10 Catanimals traveling through the northern part of India on Motor-Rickshaws. But if the reason for such a journey is the support of our projects for refugee kids that idea may sound a little less crazy. The teams of Kosmos, Mayfair and Catan want to support our projects for refugee children and street children with this tour. They plan to visit our project region far off the touristic sites in order to generate awareness for our programs. As part in the April Rickshaw Run rally, they deploy 4 teams, which will travel from the west (Jaiselmeer Rajahsthan) the far off northeast (Shillong, Meghalaya) of India, traveling alone on Rickshaws amid India’s merciless traffic. Follow the adventure on the Blog. Learning helps to develop pride and self-confidence. 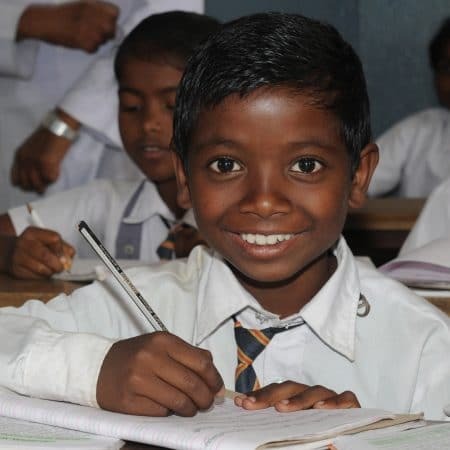 In India attending school is mandatory. However, almost half of world’s children not attending school lives there. Literacy of mothers doubles the chance of survival of her children. Every year of primary school education increases the life income by 20 to 30 percent. United Nations studies indicate that every year of additional primary schooling adds two to three years to the life span of a young woman. We support the poorest of the poor. We don’t give handouts but we empower people to help themselves. We supplement state-run education programs, but we do not seek to replace them. We require local contributions and local commitment. We invest a lot into people but little into buildings.